Helping Women and Children of domestic violence and homelessness obtain safe and affordable housing. I'm so thankful for the new home I have for myself and my kids. It's a dream come true! Help Women and Children with Affordable Housing in Miami and Broward. YOU will receive a GIRLFRIENDS 4 GIRLFRIENDS pink wristband. Help Women and Children who have been abused. Girlfriends 4 Girlfriends goal is to establish affordable housing for women and children that have been abused or have experienced domestic violence. Individual and group counseling helps them set goals for their lives, further develop their academic and vocational skills and prepare for employment opportunities that are commensurate with their abilities. After homeless/abused single women or women with children complete their residential program at the Center for Women & Children and are ready to move out to be productive citizens, that move is not always so simple. Safe and affordable housing is an enormous barrier to living successful lives for themselves and their children. Girlfriends 4 Girlfriends goal is to establish affordable housing for these women. To get involved, please email Marilyn Brummitt at Marilyn or call her at 305.571.2200. Your Support Changes Lives in Miami and Broward! Safe and affordable housing is so important for continued success as women build new lives with their children. Special thanks and honor to all our Girlfriends that are providing housing and new futures to so many moms and their children. 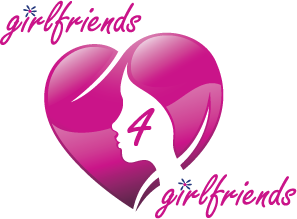 Girlfriends 4 Girlfriends are making a huge impact on the lives of single women and women with children. Your're invited to join the Girlfriends 4 Girlfriends Team.